Did you know that headstand is considered the king of all yoga poses? Or that headstands actually have anti-aging properties? You might think I’m crazy but it’s actually TRUE! 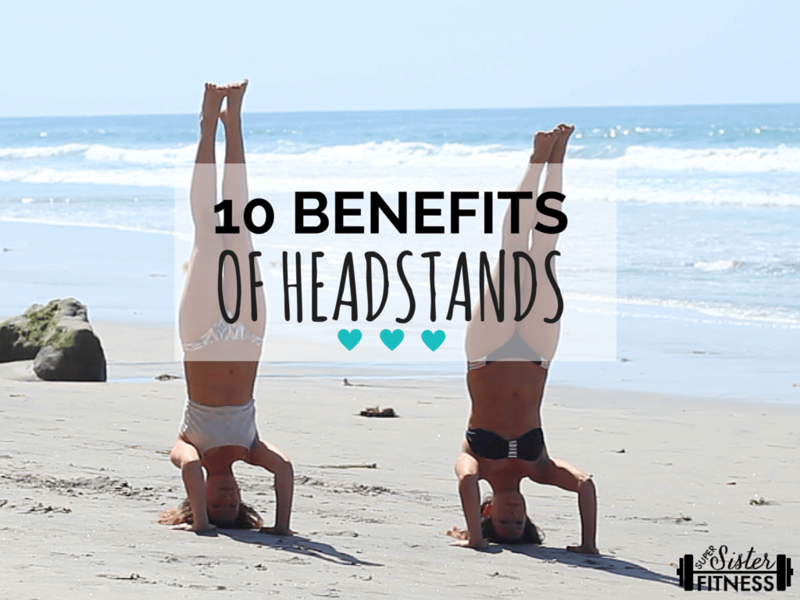 Headstands aren’t only good for pretty pictures and cool party tricks… they have amazing health benefits! Headstands help to flush nutrients and oxygen to your head by reversing the flow of gravity (and your blood), giving you glowing skin for hours. According to Yoga Journal, headstand “helps relieve stress and mild depression” because they stimulate the pituitary gland, which releases endorphins (your “happy” hormones). Headstands can also reduce the production of cortisol, a stress hormone, while increasing the blood flow to your brain. Headstands can help decrease stress by keeping you present in the moment with your attention drawn inward. Headstand + long, slow breathing = complete stress relief. Inverting upside down in a headstand will allow the effects of gravity to reverse, which can help to move things along in your digestive tract. Not only that, but headstand will help to improve blow flow and increase nutrient absorption. Headstands increase the blood flow to your brain and take the stress off your heart to constantly pump fresh blood throughout your body. This can help to improve mental focus and function. To sum it up, your lymph system helps remove waste products from your blood. By flipping on your head, you can directly stimulate your lymph nodes and lymphatic system to help detoxify your body. Headstand is an amazing posture to increase the strength of your arms. When you’re in a headstand, you should be pushing the edges of your hands, wrists and forearms into the ground. This means you will be using the strength of your arms and shoulders to hold you up, instead of putting pressure on your neck and spine. Getting upside down will help decrease edema and swelling in your feet and ankles. By elevating your feet above your head, you will help flush out fluid from your legs and feet. Wowzers — headstand is a crazy core workout. 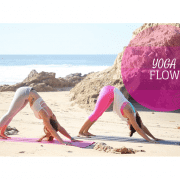 By practicing safely, you will learn to engage your core strength to master headstand. Using your core instead of kicking up into headstand, will strengthen your core and decrease the risk of injury. Headstand gives your heart a little “break” since it’s constantly working to pump blood upward to your brain. Plus, while you’re in headstand blood is able to flow more freely from your extremities back to your heart. 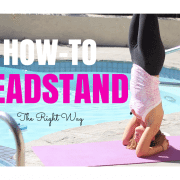 If you’ve never done a headstand before and you want to learn how to do one – Check out our headstand tutorial post and video here!